Address: Carretera General, s/n, Canillo, Andorra. 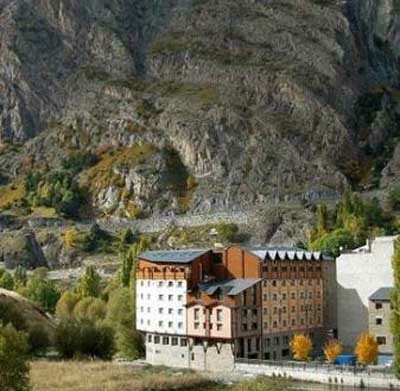 Occupying a privileged position, in the centre of Canillo, Ski Plaza is just 100 metres away from the ski lifts and overlooks the snow-covered mountains in the winter season. Free WiFi is offered throughout the property. Rooms feature a flat-screen TV, safe, and heating. The bathroom comes with free toiletries, with bath, and hairdryer. The hotel's spa includes massage treatments and access to the sauna, the hammam, to a small gym, and to the indoor pool with hot tub for a surcharge. At the Ski Plaza Hotel, every detail has been carefully designed to make you feel at home, ensuring that the feeling of well-being surrounds you during your stay. Guests are required to show a photo identification and credit card upon check-in. Please note that all Special Requests are subject to availability and additional charges may apply. The published half-board rates for stays on the 31 December include a mandatory fee for the gala dinner held on that evening. The hotel restaurant will close after breakfast on 31 December, therefore regular lunch and dinner service will not be available.